The Nexon forums are for all players of Nexon games to socialize and engage in discussions with each other. To keep the forums a productive and positive place for all players to gather, please keep discussions G-rated. So welcome and take this opportunity to read our forum policy. Enjoy your visit and remember to have fun! 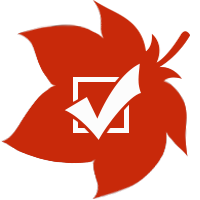 - The forum community is handled by forum moderators and Community Managers. They are in charge of up keeping and promoting the forum community. They do not have tools to assist players with support inquiries. - Community Managers (also referred to as CMs) are always reading what you have to say and make reports to the appropriate teams when necessary, thus it is highly important players have discussions so all readers, including Community Managers, can understand. - Please do not make threads directed at the Community Managers/Volunteers. They will try to offer assistance if they can but please understand they may not comment or have information to provide at the time. 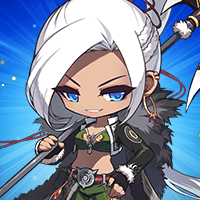 - Volunteers do not have the right to ban or give infractions and are under a set of rules and best practices provided by Nexon to help moderate the forums. Only Community Managers have the power to give infractions and ban other users. - Keep it clean. That means avoid the usage of profanity, suggestive language and behaviors, and impersonating Nexon representatives. This includes abbreviations, slang, and other bypasses. - You are allowed ONE forum account. This is to protect threads from being intentionally necro-bumped (bumping old threads), impersonations, and ban dodging. - Inappropriate forum IDs will result in a name change picked by the Community Manager. 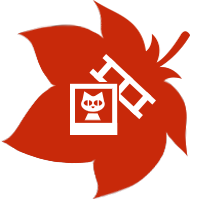 - Duplicate forum accounts will result in the account banned from the forums. - Threads asking for free or unused accounts will be deleted. - Intentionally sharing account information of your account or another's user account will result in a permanent ban of the mentioned account. - Keep forum discussions pertaining to the game. - Profanity and vulgar speech will not be tolerated. - There is a language filter on the forums and bypassing the filter with symbols, rearranged letters, or substitute words will be considered as profanity. 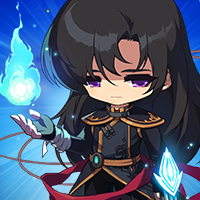 - Impersonating/attempting to pass off as of any Nexon representatives or other forum members will be punished by a permanent ban. - Inflammatory threads towards the game, the players, the company and its employees will not be tolerated. 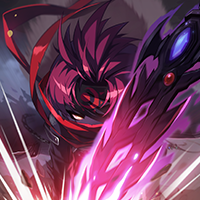 - Baiting players to flame; derailing threads to incite an argument or negative behavior; and simply for the sake of causing trouble are not behavior accepted on the Nexon forums. - Do not post images on the forums that can be insulting; promote adult behavior and activities; suggestive actions; violence; and/or ****ography. - Moderators have final say on if an image is deemed inappropriate. - We do not allow the promotion of referral websites, phishing websites, or other malicious links. - This also includes threads that that intentionally promote ("advertise") non-Nexon games. If you would like to share a fansite, please do not spam. - Do not create multiple threads of the same topic or discussions to overwhelm the forums. - Bumping (repeated posting on a thread to keep it going or visible) is also not allowed. - Intentionally necro-bumping will result in disciplinary action. - You are free to express yourself on the forums but not on Nexon's expense. 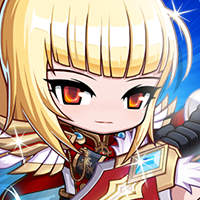 - This means we will not allow derogatory comments, threats, intellect insults, "crusades" against Nexon or our users, and other comments encouraging other members to accept a certain ideology about Nexon. - We do welcome feedback and constructive criticism. - Constructive criticism is the process of offering valid and well-reasoned opinions about the work of others, usually involving both positive and negative comments, in a friendly manner rather than an oppositional one. - Do not to spread fear, uncertainty and doubt (FUD) on the forums. This includes making claims on what Nexon’s actions intentions are. - Opinions are welcomed. However, we do expect you to respect the opinions of others, even if you do not agree with them. - Do not use conflicts you have with others forum members as discussion points. - If you have an opinion to share about Nexon games and its services, please post it constructively. - Do not create threads pertaining to Old Maple Servers, Legacy Server, Pre-Big Bang Servers, etc. 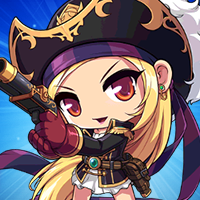 You can talk about previous verions of MapleStory for memories and nostalgia's sake, but discussions surrounding starting up new services or servers are not allowed. - The Nexon forums are not a channel to contact Customer Support or Game Masters. - Use the support system to file tickets if you require assistance regarding account and billing inquiries or issues. -To report abuse happening on the Nexon forums, on the right bottom corner of every post there is a Report abuse link. - When clicked it opens a report form for you to fill in a subject and a quick summary of what the abuse is. - If you wish to report in-game abuse you must use the in-game report options, website options or the ticketing system. - The forums are not the channel for reporting players. - Reporting players through the forums can be seen as harassment as it can lead to disruptive, inflammatory behavior. 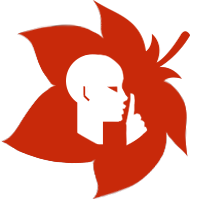 The Forum Rules of Conduct are enforced at the moderators' discretion along with the appropriate course of action taken on abusers. Please note that there might be additional rules for the forum for each Nexon title that are not covered in this document. If you feel an unclear on the proper etiquette for a forum please ask the Community Manager or a Volunteer for clarification. Excessive forum abuse may result in the termination of game accounts and potentially all associated accounts with it.